NUVO Cabinets and Stones is a company with a straight forward and unique design/build philosophy. We believe in having one company handle the job from its conception on paper,to manufacturing, to the realization in your home. The reason; by doing this you are able to communicate and work with a team of individuals who understand your needs and can deliver a quality product in a timely fashion. NUVO is made up of a team of highly skilled craftsmen professionals who pay a lot of attention to the little details. With many years of experience, We can make your home renovations look good and function well for your family year round. Owners Hun and Ming redefines professionalism and dependability and demand an unsurpassed quality of work from themselves and their team. NUVO Cabinets and Stones has grown with an ever expanding foundation of satisfied customers that value their trustworthiness, honesty, and reliability. Give us a call! Find out why so many are making NUVO Cabinets and Stones their #1 choice! A joint venture between two men who shares the same vision of creating a one-stop shop for all kitchen and bath renovating needs. Catering from average to the most exquisite taste with reasonable pricing and top notch services. 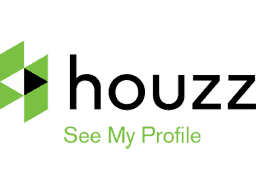 With a bachelor’s degree in Economics and master’s international business management, alongside his years of experience, Hun, has proven to be well-versed in the industry of home improvement and renovation. Growing up in his parent’s automotive shop, Hun, at an early age learned the basics of doing business. After college, Hun worked in the wholesale industry, where gained expertise in importing, shipping and marketing. With a partner, he started a building material import business in Toronto where he put his business knowledge to work. In 2009, he decided to come back to Vancouver to open his own. Two years later, he opened another branch in Calgary and in Edmonton in 2014. Being in the business for almost 10 years, not to mention the daily troubleshooting, plus the economic downturn, Hun’s ability to lead and keep his businesses afloat, more so maintaining a financial advantage, is a skill polished through time and experience. Starting from humble beginnings, Ming is an all-around guy who started in a stone fabrication shop. There he learned pretty much everything about stones, from cutting to polishing, measuring to installation and even design. After spending years of improving his expertise in handling stones, Ming decided to expand his craft by learning more about production, machineries and the logistics of a stone company. Being an operations manager in one of the biggest and longstanding countertop supplier in the city, Ming mastered how to keep an enterprise run as smooth and as efficient as it can. Other than that, he also took in every opportunity to know more about cabinetry, how it is assembled, designed, finished and installed. In 2013, Ming and his partner started a kitchen renovation business of his own that operated for more than 2 years. In 2015, he decided to dig deeper in the source of stone origin where he learned all the intricacies and characteristics of different types of stones. And he has been on the learning journey to get to know more about the markets in Calgary, Edmonton, all the way to Grande Prairie. It is on this marketing journey that he discovered that Hun has also been exploring the same idea pursuing a one-stop all-around shop for customers. 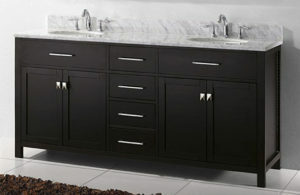 source for the highest quality Cabinets and Stone Countertops.